On 29 October at 19:00 everyone was invited to attend a lecture “Future As Reversed Past” by philosopher Jānis Taurens. 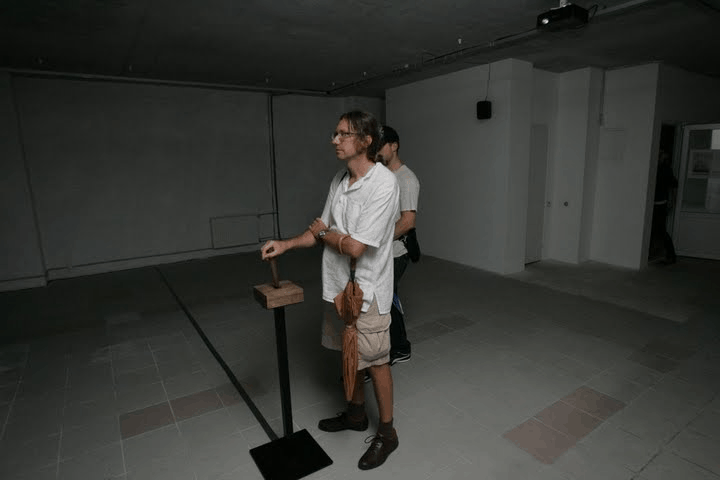 The lecture was on Miks Mitrēvics’ exhibition “Entropy Cube” and the XI International festival for new media culture “Art + Communication” exhibition “Energy”. In his 1966 article, “Entropy And The New Monuments” Robert Smithson refers to Vladimir Nabokov’s “observation” that “the future is reversed past”. Robert Smithson is Miks Mitrēvics‘ imaginary companion in his exhibition at the VKN Gallery; however, the concept of “entropy” is also topical in the XI International festival for new media culture “Art + Communication” exhibition “Energy”. Yet Nabokov’s idea that Smithson put in the 60s art theory context is important for one more reason – it guides the way of interpretations of the new tendencies that we can see in these exhibitions.